It's been almost four years since Oracle acquired JD Edwards. Through the Applications Unlimited initiative, Oracle has committed to enhance and support the JD Edwards products for the foreseeable future. 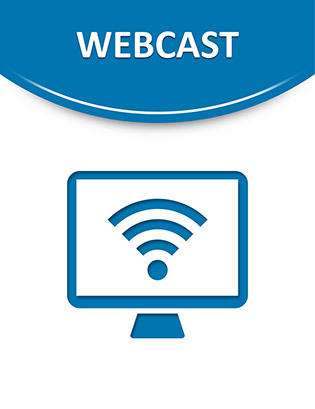 In this webcast, Lee Kroon-Senior Industry Analyst at Andrews Consulting-will provide highlights of their recently released whitepaper, "The Transformation of JD Edwards Applications". Since the acquisition, two new updated versions of the JD Edwards EnterpriseOne integrated enterprise applications suite have been released, featuring hundreds of enhancements. As a result, JD Edwards EnterpriseOne has never been stronger, with deep financial management, CRM, asset management, and supply chain capabilities. Also, the industry-specific functionality for Manufacturing, Consumer Goods, Engineering and Construction, Real Estate Management, and Life Sciences have been extended with hundreds of new customers selecting JD Edwards EnterpriseOne each year. JD Edwards customers increasingly benefit by being able to more easily deploy Oracle's best of breed applications-such as Siebel CRM, Oracle Transportation Management (formerly G-Log), and Demantra Demand Management-with Application Integration Architecture. As a bonus, Lenley Hensarling-Group Vice President of JD Edwards-will provide an update on product strategy, development, and support as well as giving insight on how JD Edwards EnterpriseOne fits into Oracle's overall applications strategy. Lenley Hensarling Group Vice President and General Manager, JD Edwards, Oracle Lenley Hensarling is responsible for the JD Edwards EnterpriseOne, JD Edwards World and Oracle's Cross Applications Unlimited (XAU) teams. He has been with JD Edwards EnterpriseOne since 1999 and served in previous roles as Vice President of Product Strategy and Vice President/General Manager JD Edwards EnterpriseOne. Prior to 1999, Mr. Hensarling held senior leadership positions at Novell and Enterworks. Mr. Hensarling has a Bachelor's degree in Economics from the University of Texas at Austin. Lee Kroon Senior Industry Analyst, Andrews Consulting Group Lee Kroon has been a Senior Industry Analyst for Andrews Consulting Group since joining the firm in 1998. He has more than 30 years of experience in the IT industry and has been studying mid-size companies and enterprise resource planning (ERP) software since 1986. Lee is the managing editor of the JD Edwards Advisor (www.JDEdwardsAdvisor.com), the leading independent web site for users of JD Edwards applications.